There is absolutely no doubt that Oprah received spectacular ratings thanks to her popularized Lance Armstrong interview. So, in the same spirit of revealing the truth to the world, Ms. Winfrey needs to consider dedicating a full show on vaccine safety. Until the time Jenny McCarthy received a major air time at Oprah’s show, there was a fringe link between autism and vaccines. But thanks to the September of 2007 interview with McCarthy and to a greater extent Andrew Wakefield, Oprah was able to reveal to the world the erroneous link that exists between autism and vaccines. Oprah, rather than hosting a show to with a similar kind of balance, she instead opted to read just a brief statement issued by CDC countering the 45 minute interview of a fighting mother against the whole world. Regardless of whether by chance or by design, the vaccine book by Dr. Bob Sear was published the following month and as they say, the rest is history. The rates of vaccine plummeted, there was a resurgence of reportable diseases and pediatricians groaned everywhere. In addition, millions of dollars also were spent for re- studying vaccines in the efforts of trying to prove many skeptics out there that vaccines are quite safe. Now, the problem is that the crux of many vaccine warriors like McCarthy is that the beliefs they have regarding vaccines are propped merely by just conspiracy theory and not common sense or science. A new study available to us now tells us that children in America are woefully behind their immunizations. According to a study that was done for a period of more than four years, it was evident that about half of the 300000 children involved in the study were under vaccinated. And this exists irrespective of the fact that numerous scientific evidences have proved that vaccines are very safe. The society has sacrificed millions of dollars trying to prove something, which was known already. The money would have been used better in studying autism causes or testing therapies. Most of the research has been funded by the government and it is the people who paid with their tax dollars. We are not complaining about tax money being spent on research, but the fact that it is used to prove something which we already know. For this reason, Oprah should consider dedicating a show on vaccine safety. Oprah can thus user her popular broadcasting platform for attracting attention to the incredible comprehensive look on vaccinations by the Institute of Medicine. 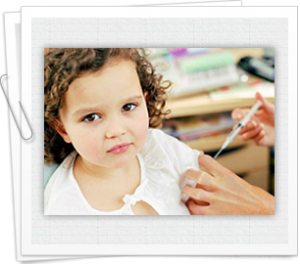 Their study concluded that there are no serious concerns related to adhering to childhood immunization schedule. Oprah always wants truth and that is what she got from Lance and communicated it to the public. She can contribute greatly to inform the world the truth about vaccines.